In Malaysia there are many ways to travel. The most used is the bus. This is the cheapest means of transport. You also have the train, but a taxi is very popular in the cities and outside. The disadvantage of a taxi is that you often have to negotiate the price. You often have no idea how much the journey should cost, because drivers do not have a meter (or simply do not want to turn it on) or the availability of taxis is limited. Grab gives you a total price immediately when you make your reservation, so negotiation is not necessary. Often you have a car in front of the door within 5 minutes. You always receive a receipt after the ride in the mailbox. We can choose between a regular taxi or Grab. In general, the cars are very neat. Uber's counterpart was Grab, but he is no longer a competitor. In March 2018 GRAB took over all services from Uber. Grab probably pays a few billions before the takeover. In exchange for all services, Uber receives 27.5 percent of Grab's shares. And Uber CEO Dara Khosrowshahi joins the board of directors of Grab. The green of transport application Grab usually won it from the orange of Uber in the streets of KL. Grab's moped couriers with their green-black helmets are on the streets in the majority, an orange helmet from Uber is only occasionally visible. Grab bought all Uber services in eight countries. Besides Malaysia, there was also bought in Indonesia, Singapore, and the Philippines. It mainly concerns passenger transport, but Grab also takes over UberEats, the service that delivers food. For transport by taxi you can safely ask at the hotel for transport with Grab. In Malaysia the order is Grab first, then a taxi. In Southeast Asia, according to analysts, Grab always worked smarter than Uber. The two founders of Grab both come from Malaysia, but met at the Harvard Business School in the United States. In 2012 they started their start up MyTeksi out of frustration about traffic jams, in major cities in Southeast Asia a standard phenomenon. Soon they changed the name to Grab, which would work better in other countries in the region. From the beginning, the two tried to cooperate with local taxi drivers, instead of opposing them as Uber is often blamed. 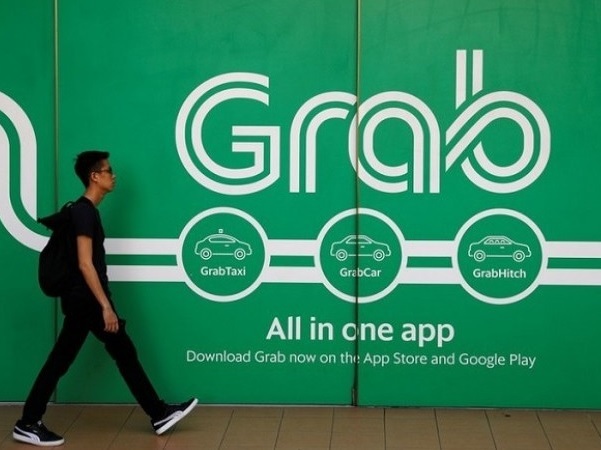 Grab also offered all kinds of transport, from motorbike taxis to piggybacking, a car all to yourself or even bus transport, rather than Uber. It works. Grab is the market leader in Southeast Asia and is growing fast. Their application was already downloaded more than 90 million times, and five million consumers would use the app every day. Grab has more than five million drivers in nearly 200 cities in the region. And the market is far from saturated. 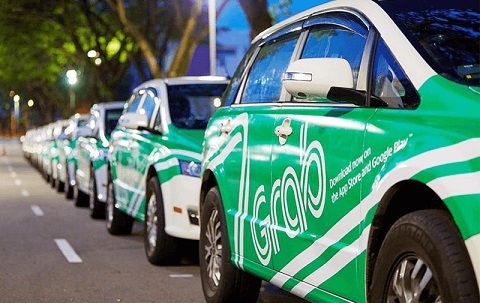 Uber's customers and services therefore come in handy for Grab's expansion plans. 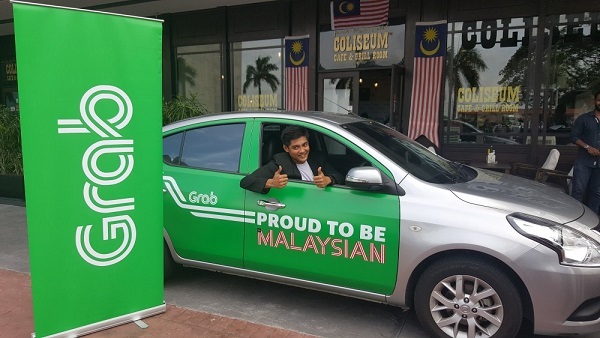 In Malaysia and Singapore, Grab has just started delivering food delivery services. Ideally Grab wants that one app, where customers can arrange everything. Like China WeChat and Alipay, an app that lets you chat, pay, take out insurance or order movie tickets. In Singapore, Grab also introduced a carpool option; this makes it easy for commuters from Malaysia to drive back and forth to Singapore in one car and thus cheaper. And Grab is the first to come up with lease plans for cars and mopeds, so that they can drive even more drivers on the road. First register. This is also possible with Facebook or Google+. But we choose phone number. Enter your name again, a valid e-mail address and a telephone number. A verification SMS will be sent to the number. Then you're done. You can now search for a ride. You will see, as with Uber, a map with your location. Press "DROP-OFF" and start typing your destination. You get immediate suggestions. Select your destination. You see different types of Grabs at the bottom of your screen on your mobile. Often it is GrabCar or GrabTaxi. GarbTaxis are taxis that are affiliated with Grab. They often have a Grab sticker on the side. Often more expensive than the GrabCar and there is often a commission over and above the fare. A GrabCar is the cheap variant. They are often private individuals with their own car. In general, they are neat cars. There are a few options under the search screens for PICK-UP and DROP-OFF. Cash The way of paying. You can also pay by credit card. We do not recommend this. Cash is always better. Now You can plan your ride. For example, if you know that you want to leave tomorrow around 14:15 PM, you can indicate that in advance. Does not work with all types of Grab. 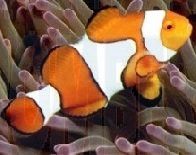 Promo Promotion or discount code. Notes to driver Note to the driver. We often report that we are two people with two large backpacks. This way you prevent a mini from coming. When everything is filled in and is in good condition, press "Book". Grab is now looking for a driver. Grab's algorithm works close to drivers who are further away. Because of this you often do not have to wait that long. If a driver has accepted the ride, you will see the car move on the map. We have our doubts about this card, because according to this card the car often drives through parks, shopping centers and water. The estimated arrival time is often correct. Here, too, it may happen that the driver calls to confirm the pick-up location. Pretty neat. And of course you get the license plate of the car so you can look forward to the car. If you decide to go somewhere else during the ride, the price will of course be higher. If the ride is on and the car is gone, you can often give an assessment of how the ride has given birth. At Grab you can only judge with a number of stars.